Dr. Johnny is both a Physician (Physical Medicine) and Energy Practitioner. He is an Applied Kinesiologist, an Acupuncturist (traditional & medical) as well as a counselor. He is the author of 2 books, Freedom from Anxiety and Erasing Worry Now (a No. 1 Amazon Best Seller). He is currently the President of Global Medical Aid and Education (a 501c-3 Non-profit) that provides free medical and mental health care in Africa and Asia. BACKGROUND – His academic background prior to medicine comprises both under-graduate and graduate degrees in physics (MS & PhD-candidate) and business administration (MBA). He also has a B.S. in human biology and a M.S. in Clinical Human Nutrition. 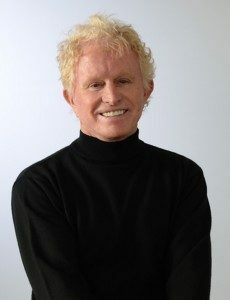 His advanced certifications include post doctoral training in/with the American College of Nutrition, the Academy of Certified Nutritional Specialists, Applied Kinesiology, Visceral Manipulation, Medical Acupuncture (Diplomat), Manipulation Under Anesthesia (Diplomat), Energy Psychology and Neuro-Linguistic Programming (NLP). During his medical training he simultaneously studied Traditional Chinese Medicine. Subsequently he became certified in Energy Psychologist as an Energy Practitioner. He has continually advanced his education by securing acumen with ongoing formal training in Clinical Hypnosis, Cranial-Sacral therapy, Emotional Freedom Therapy, Thought Field Therapy, and Neuro-Emotive Technique. He counseled with Big Brother, and VOA homeless shelter and as a jail chaplain. He undertook theological study for Deaconry. He is a TM meditator and additionally teaches Kundalini meditation. Dr. Johnny has had a varied work life before his path in medicine, including employment as a college instructor, a research physicist, a machine-language computer programmer, tactical nuclear weapons specialist and a technical analyst in intelligence services. His volunteering has been continuous for the last 25 years in coaching, lay ministry, jail chaplaincy, restorative justice and counseling work with the homeless. THE BEST OF TIMES-THE WORST OF TIMES—in 2001, he suffered a traumatic brain injury as a result of being run over by a truck while cycling. This immediately and forever changed both his awareness and his life’s direction. The next 6 months included a total loss of speech, short term memory and rage control. And his heightened reactive-rage response led him into self-isolation for the next 24 months. The subsequent 4 ½ years of 12 hrs. of daily Neuro-Cognitive rehabilitation of reading, re-reading and voice recording, almost 700 influential books from his library, were solely directed at recapturing his lost Mensa mind. His worry and anxiety about regaining his mind were overwhelming, since that was what he believed defined him. Being totally overcome while watching a natural disaster unfold on TV, he realized he needed to immediately stop all the rehab and design a life where he would simply and only give himself away in service. Shortly after this,the first big “aha” moment arose—it was that his anxiety that was the issue, not a perceived diminished intellectual capacity. The second “aha” moment was that anxiety (worry or stress) was THE determining factor that prevented anyone from getting what they wanted in life. His focus now was only to get his anxiety down to zero to move forward in life. But he had just spent years in a variety of therapies and tried about 10 different neuroleptic medications. That hadn’t changed anything. This together with his experience with 16,000 past patients reinforced that neither drugs nor endless talk-therapy really eliminated anxiety and worry. He began a journey not just to find a creative solution for someone to erase their anxiety or worry, BUT critically where they could do it by themselves (DIY). Energized and with AK, Acupuncture and NLP as his foundational basis, he rapaciously acquired additional training in areas within different approaches within the Energy Psychology realm , like Emotional Freedom Therapy, Thought Field Therapy, Neuro-Emotive Technique and EMDR. He integrated the best parts of these techniques to create a radically innovative DIY method called REIN (Resolving Emotional Issues Now). He tested, refined and tested REIN repeatedly in treating patients/clients in India, China, Tanzania, Kenya, Rwanda and the Philippines to finally arrive at the optimum approach he has today. His U.S. charitable nonprofit corporation, Global Medical Aid and Education, is the recipient of all book royalties and all revenue from workshops and speaking engagements.